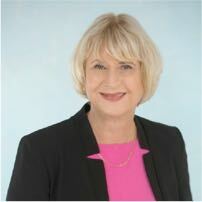 Judy O’Connell commenced as the Victorian Small Business Commissioner in November 2016, and advocates to ensure Victorian small businesses have a fair and competitive environment whilst running their business. Judy also promotes the VSBC’s quick, low cost dispute resolution service for small businesses. Judy has extensive public sector experience working with small businesses, with a public service career of over 30 years. Judy comes from a family of small business owners – both her father and two sisters operate their own businesses. Since becoming Victorian Small Business Commissioner, Judy has overseen the development of a new three year business strategy outlining plans for a fairer and more competitive environment for Victoria’s small businesses, as well as the creation of the Victorian Small Business Commission from 1 July 2017, providing her with broader and stronger functions.